I put a PWM speed controller on my MP32 years ago and protected it against accidentally reversing the battery leads with a Radio Shack diode. I tested it for proper functioning before connecting to the PWM controller and it was working as intended. A few days ago I misconnected the leads and got big sparks! . I removed the diode and checked its resistance in both directions and got near 0 ohms. It had failed!! Do you guys have any recommendations on how to make this failsafe feature actually failsafe? color code your connection points. Color coded tape, paint and/or zip ties. There are these things called fuses Then use the biggest diode you can find. Then it is like the toilet seat being up.... just takes once and the next time you remember. But paint code or changing connectors if worried once isn't enough. What are the current requirements and what diode did you select? I am trying to get the human error out of the way. I have 2 deep cycle batteries wired in parallel for charging and series for operation so I am fairly regularly changing connections. 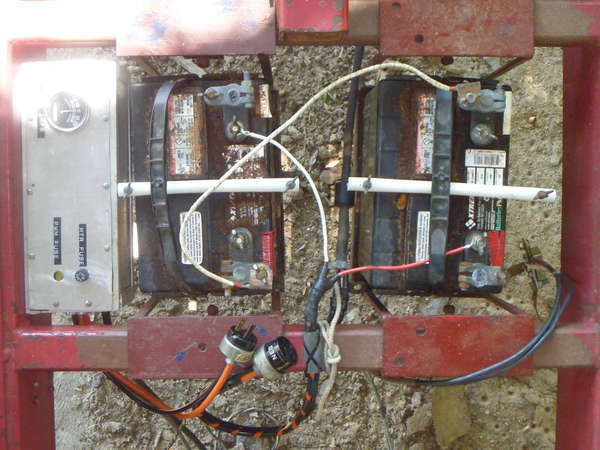 (I also operate a loading/turning 12 VDC winch off one battery which has a high amp draw). Even though the wires and posts are color coded sometimes (once actually) I just screw up . The blown diode was actually a diode bridge (all I could find locally) and I connected to two appropriate terminals to act as polarity protection leaving the other two as "spares" which I certainly won't use now. I don't recall the specs but it was in excess of what I needed. I have ordered a replacement (30 A and 1000 VDC reverse voltage). that is a Power Diode rated to handle up to 30 amps. Not sure where you are intending to WIRE it though as you are a bit vague where you were intending to place it. It would probably NOT work for any motors though due to inrush and start up loads on the motors. It wont work for between the batteries unless you have a 10~or 20 amp 12VDC charger that you wanted to use a pair of diodes to separately charge the two batteries. It will work for moderate loads too as a power thru )reverse voltage protection) for smaller loads or possibly the PWM modulators depending on the current requirements of the PWMs. The diode will be placed between the + side of 24 VDC source and + input of the PWM. Sawing requires about 2 - 10A, returning the head ~10A and if the saw head hits an obstruction and stops its motion ~20A . The PWHM can deliver 25A. The motor never starts at full speed; I dial the speed up slowly - do you think the inrush current is >30A? Put the diode across the positive and neg then on the bat side put the fuse. PWM, diode ,fuse then bat. You can use the diode as a "spike suppressor" this way by having the + and - across the diode so power does not go thru the diode unless a relay on the PWM drops our or the motor the PWM is running is shut off quickly. This can have a magnetic field collapse putting this high current surge into the - and back feeds other stuff causing issues in the electronics elsewhere. With the blocking diode across + & - that surge goes back around and does not spike the - system. If you PWM can draw 25 operating amps then that diode is undersized. On electronic devices most times they are rated at a certain operating current based on % ON time. So running 10 amps 50% of time is OK if the diode is rated above that load. For most diode applications though you want to have one for THRU power applications you need to get one rated about 2X your full operating load and at least 1.5X the Max Load. That would mean you want the diode to have at least a 35 or so amp peak for thru power applications for longevity. There are versions that can be mounted on Heat Sinks too which helps them live much longer. I avoided the diode alltogether and the frequent need to disconnect the PWM from the battery posts. I was overthinking the solution to this problem and finally came up with a simple one. I achieve polarity protection by using an ordinary plug and receptacle where the receptacle is connected to the battery posts and only needs to be disconnected when the battery needs replacing. Then I simply plug in the motor controller; almost impossible to reverse the polarity. The pic shows wiring for 24VDC operation with the input to the PWM box unpluged. Thanks for the replies. Cool. I assume the leads cannot be interchanged. I got them on all my trucks and tractors and anything else that takes 12 volts. You can buy them by the lot on E-bay... it's cheaper when you buy about 10-20 at a time. i know this is an OLD thread, but i found some info that will serve me use in the near future. similar to Kbeitz connectors. 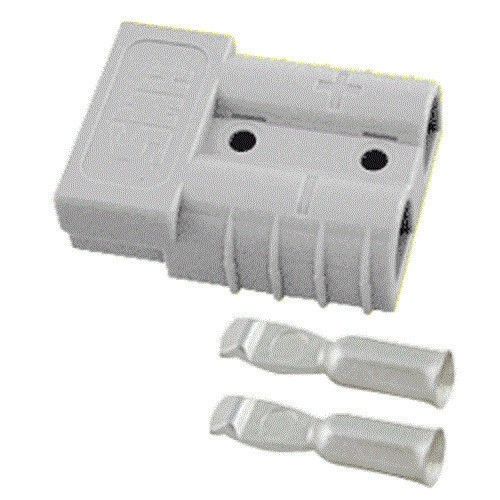 I have been using these connectors, which are a turn style, and charles mann proof as my used to tell me. the connectors can handle a LOT of amps, for extended periods of time. On my welder, i made it to where the "work" and ground" leads can NOT be connected wrong by accident, which if they were the same for both, a person could reverse the welding polarity without on accident. on my machine, it is made for + or - field polarity welding, so it wouldn't matter, but the majority of the time, since i only stick weld with it, i run it on+ polarity, as where i think like tig or mig, requires - polarity and hooking the leads up backwards could damage the unit.